The music we listen defines us, makes us happy, makes us forget about stress and encourages us to enjoy life. Now, thanks to our Smartphones, we can carry all the music you want and we ourselves are the ones who decide what to listen, when to do it and even how to do it. This allows us to enjoy the songs we like at every moment, making them a perfect moment for music. But, have you ever noticed that your favorite tracks sound different depending on the equalization of each Smartphone? We know that every person is different, so, ¿why in the world do we have to stick to preset equalizer options? 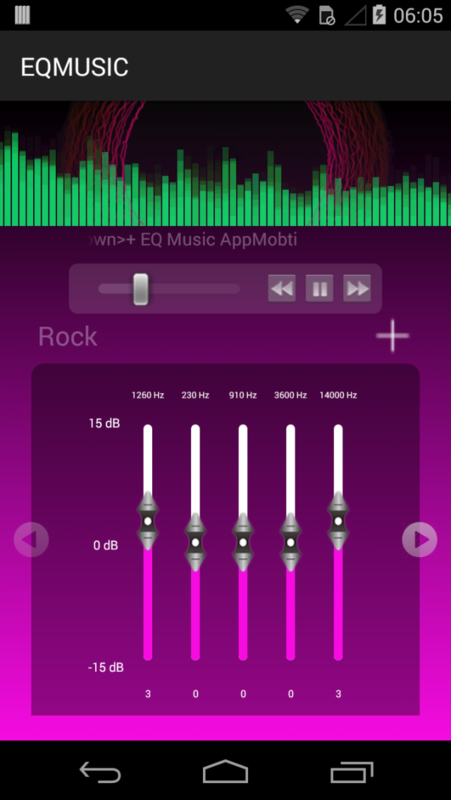 With “Mobti Music Equalizer” you can get the sound you like of your favorites songs. Customize the equalizer as you want or as you like. Enjoy a free world of customization and forget about the “presets" that came with your Smartphone. This way, the songs you hear will sound just as you like. This application was created to entertain in a simple and easy way. Over time we will update versions and adding more appropriate functions, the same with correcting errors that may exist. If you have comments on how to improve it, evaluate the application and review it, we appreciate your comments.